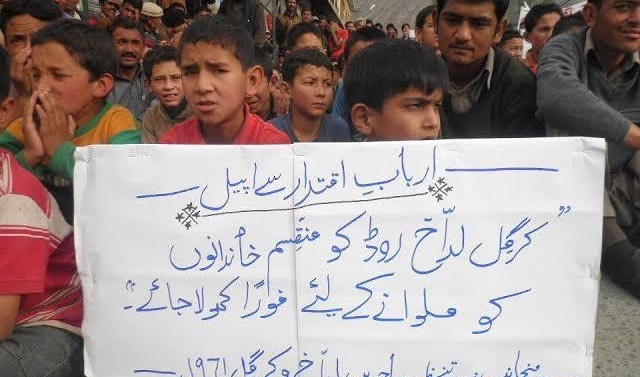 GILGIT: Gilgit Baltistan people demand opening up the Leh-Skardu and Kargil-Skardu Corridor, so that the divided families can meet each others. Many times, people of both sides demanded from the Government of Pakistan and India to reopen this road. Even special movement was run by Haider shah Razvi and other nationalist parties and raised their voice on every forum. If kartarpur corridor can be opened than why Divided People of Baltsitan can not come together?”,People of Gilgit Baltistan and kargil Leh ask to Pakistan and India respectively. The border has never been reopened for the families since 1971, leaving the people divided and separated. The major reason for this permanent closure, apparently, is the lack of a powerful voice, advocating on behalf o the divided Balti people, who are mostly poor, and, unrepresented in Pakistan’s parliamentary system. The latest development regarding opening the Kartarpur border for pilgrimage has brought a sense of hope to the divided families of Baltistan. There are almost 5,000 families living across the border and their issues remain unaddressed, unheard since long. While the Kartarpur corridor is being opened amid much fanfare, it is hoped that forced division of the 5,000 plus families will also be looked at with sympathy and empathy, because they are also equal human beings. The government of Pakistan should hear the voice of the divided Balti families and open the Leh-Skardu and Kargil-Skardu Corridor, so that the families can come together, and reunite.